Ananas New Community sounds like a sweet dream. But it is sweet reality in South-East Asia and situated around 50 kilometers south of Manila, the capital of the Philippines. 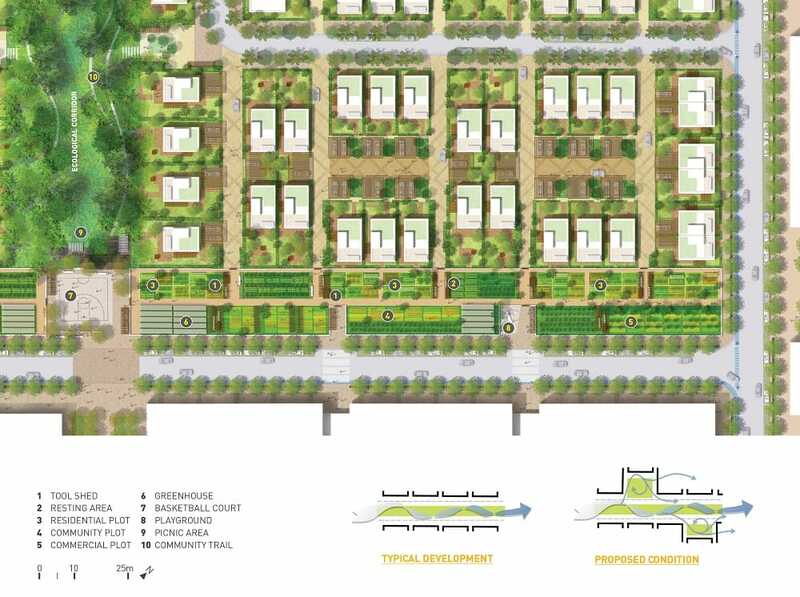 According to the designer, Sasaki Associates, the idea behind Ananas New Community is a fundamental rearrangement between urban development and farmland. 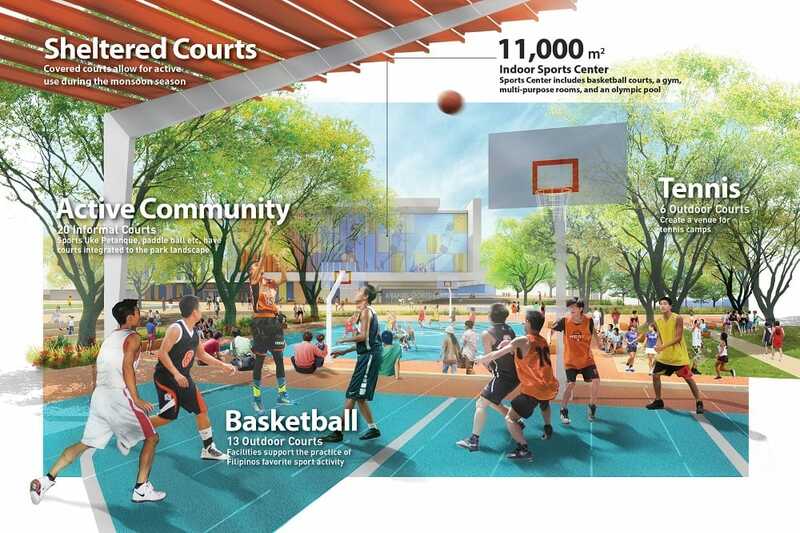 In order to improve quality of life and well-being, Ananas New Community offers several amenities such as, for example, extensive sport facilities, a cultural hub, retail, restaurants, and ecological corridors. A close and ongoing engagement between the design and planning team, the client, the Mayor of Silang and town officials was characterizing the collaboration since the planning phase. “We were thrilled to work with a client who were open to bold ideas. 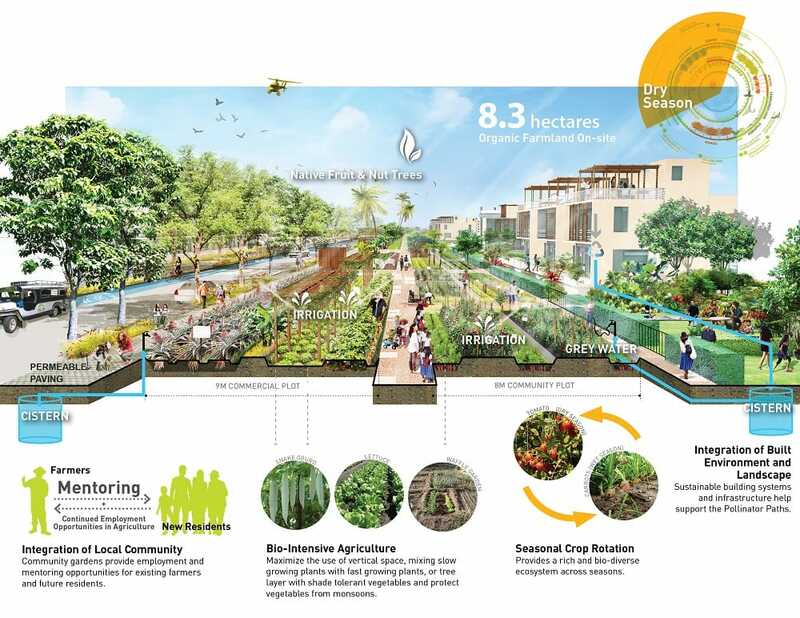 They encouraged us to imagine a new kind of development for the Philippines, one that explored innovative ideas about community, natural system and urban form.” says Dennis Pieprz, Principal at Sasaki Associates. 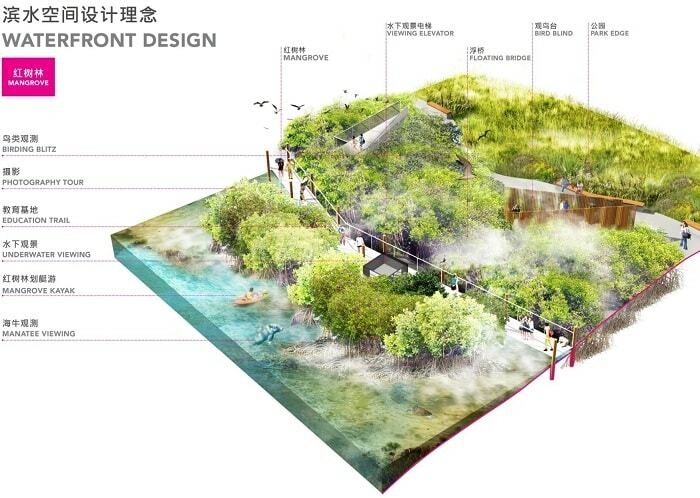 The green roofs of residential buildings collect rainwater and provide a pleasant exterior space. By creating the necessary negative pressure in courtyard it is possible to maximize wind capture and cross ventilation. The Philippine population and economy was growing continuously in recent decades. 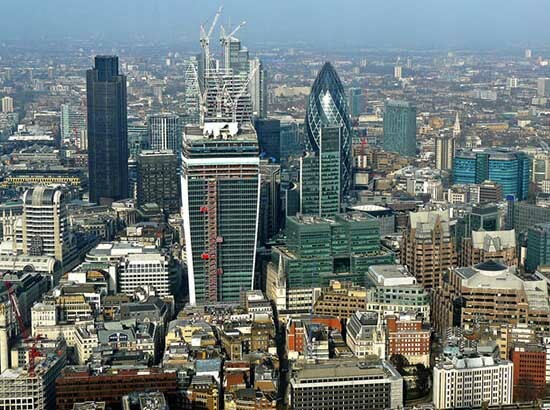 According to official statistics, the population is estimated to grow by 50 million people in the next 35 years. Manila, for example, is one of the rapidly expanding cities in the Philippines. These circumstances will be at the expense of agricultural land. These and other side effects should not be ignored. In order to support a comfortable microclimate at the neighborhood and building scales, extensive research of the local environment and ecology has been conducted. As considered during the planning phase, the agricultural plots, eco-corridors and parks guarantee a recharge of the region’s aquifer and reduce flood risks. The needed negative pressure in courtyards for maximizing wind capture and cross ventilation has been simulated during the design process. The world’s only island city-state Singapore is a magnet in the region and well known for its strong economic performance and high land and property prices. 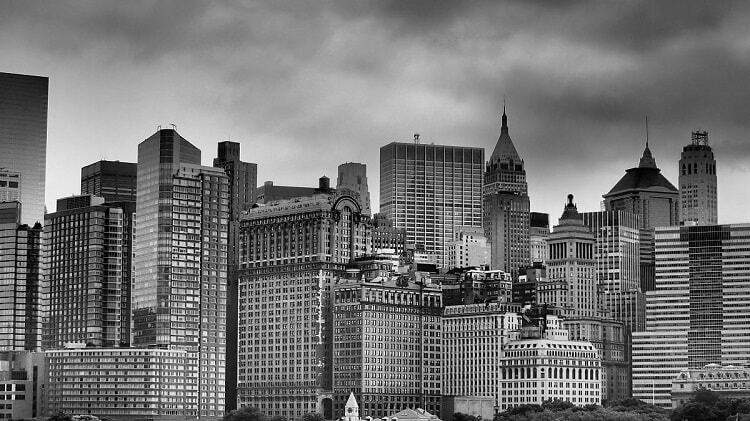 According to the World Bank, it is the easiest place to make business. But the high rents of the global financial, commerce and transportation hub may discourage immigrants and small investors or start-ups. 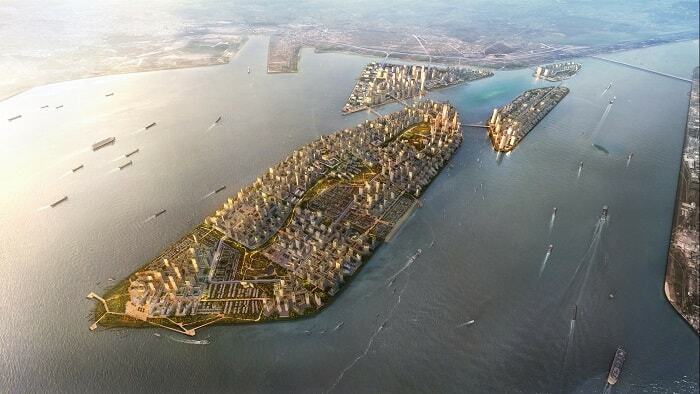 Forest City Malaysia, a new urban cluster of commerce and culture adjacent to Singapore, can change the circumstances. 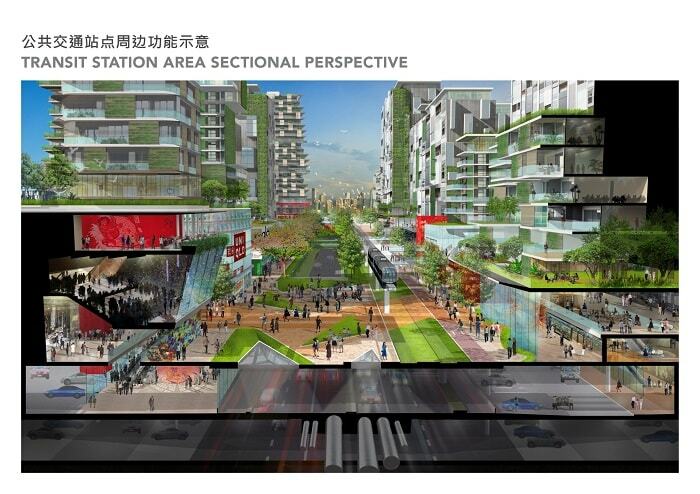 It is not surprising that many media outlets have reported about this ambitious urban project. 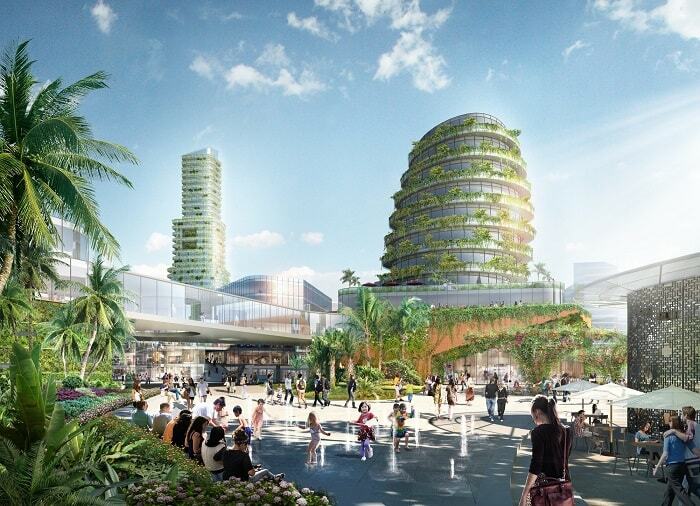 The recently unveiled master plan of Forest City, designed by Sasaki Associates, envisages a 20 years multiphase project spanning over 1,386 hectares. 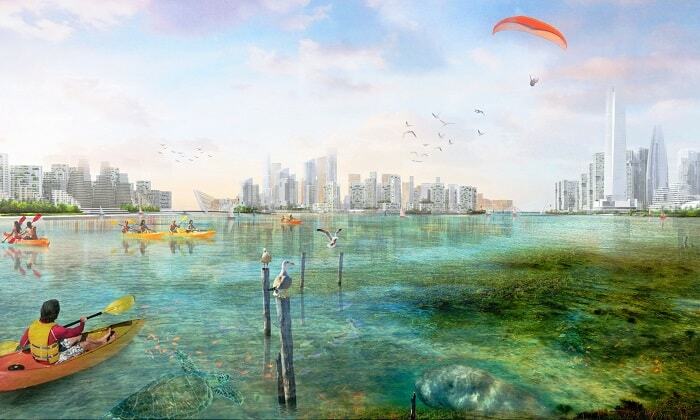 This artificial city will be located on four man-made islands on Malaysian territory and is just a bridge away from the powerhouse Singapore. 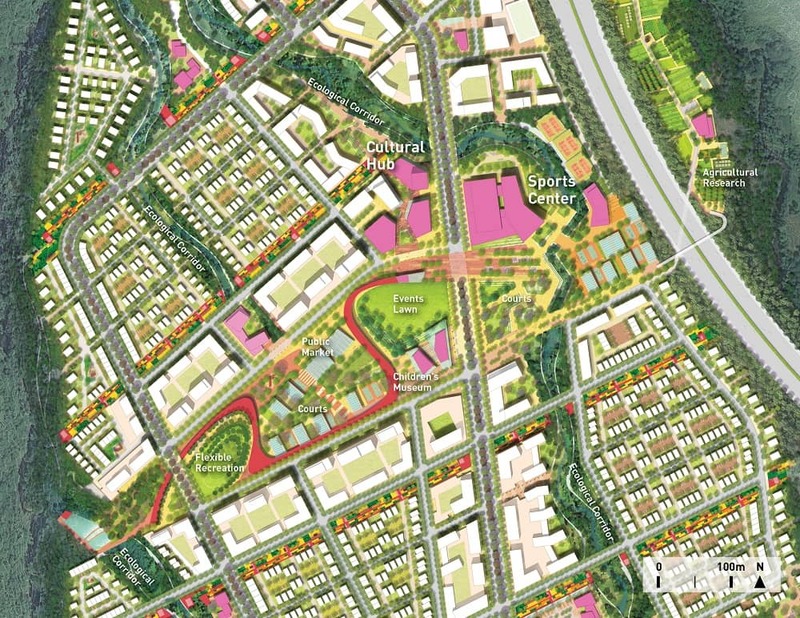 A compact and walkable mixed-use metropolis with a variety of civic, cultural, and recreational amenities set within a lush tropical landscape. 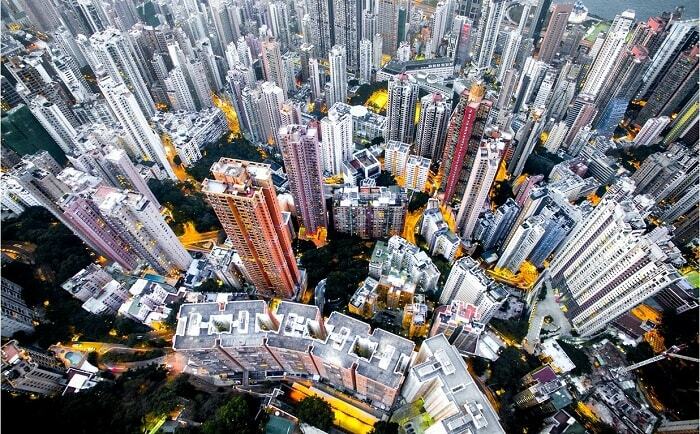 Against this backdrop, together with Singapore it could become a cross-border megacity. 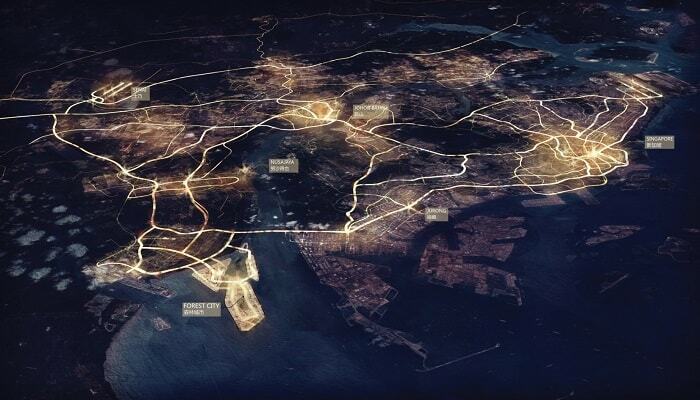 The costs for this undertaking are now estimated at S$58.3 billion (about US$41.4). Forest city Malaysia is designed to cultivate a work-life balance. The project is expected to bring around 220,000 jobs to the area. 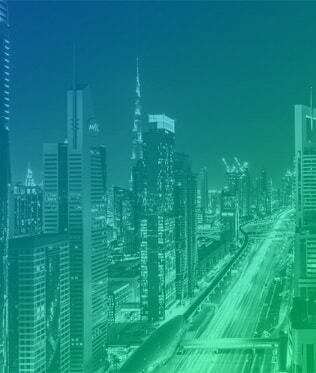 It is planned to establish an innovative and sustainable employment base with technology and biotech research facilities, financial institutions, and a variety of creative industries. 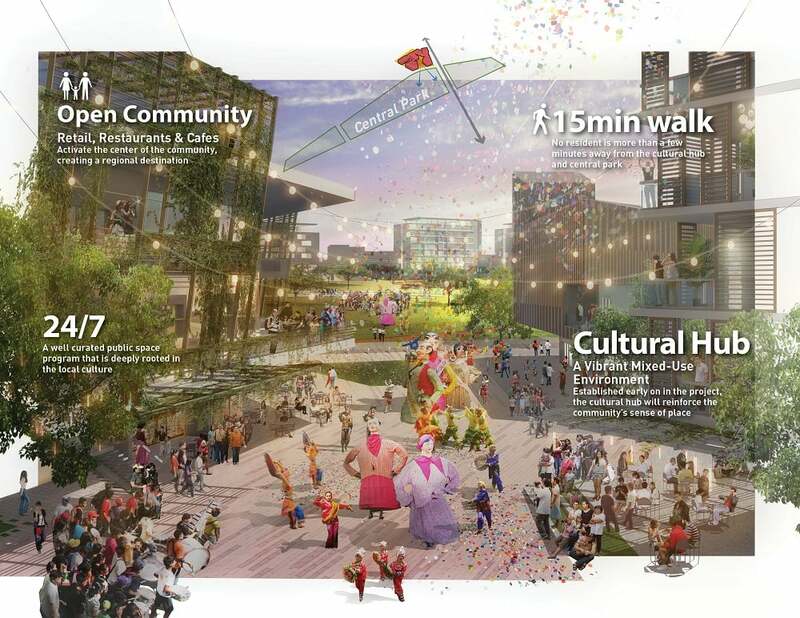 According to Sasaki, Forest City Malaysia can be an ideal destination for an emerging generation of Malaysians. The new Malaysian city will be connected with multiple modes of public transportation – including an extensive ferry network and light rail transit system that links to Singapore‘s MRT and Malaysia’s high-speed rail line to Kuala Lumpur. “To create a new paradigm for 21st century cities, investment in ecological services is just as important as investment in infrastructure. 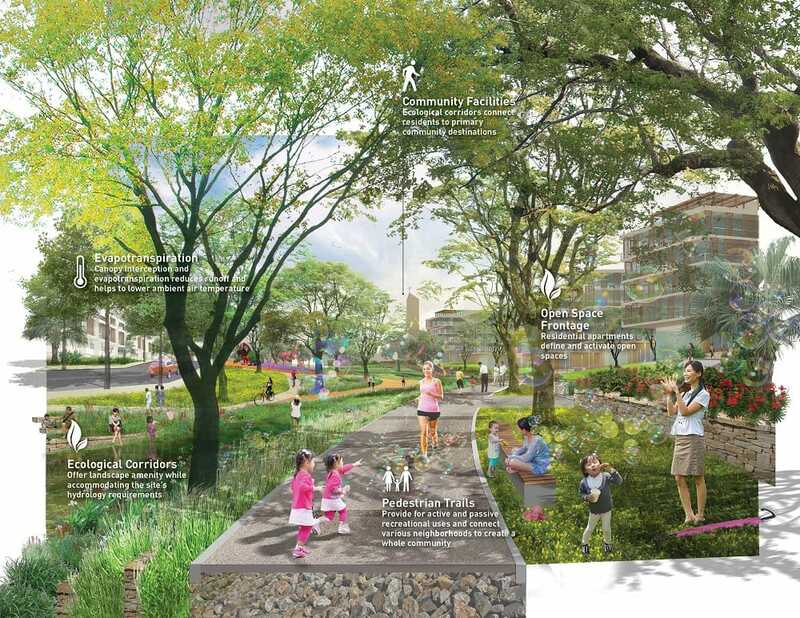 If implemented according to the principles of the master plan, Forest City’s public realm and landscapes will celebrate the unique ecology of the region.” Michael Grove from Sasaki Associates says. In order to address concerns of environmentalists, Sasaki comes up with a string of suggested measures. 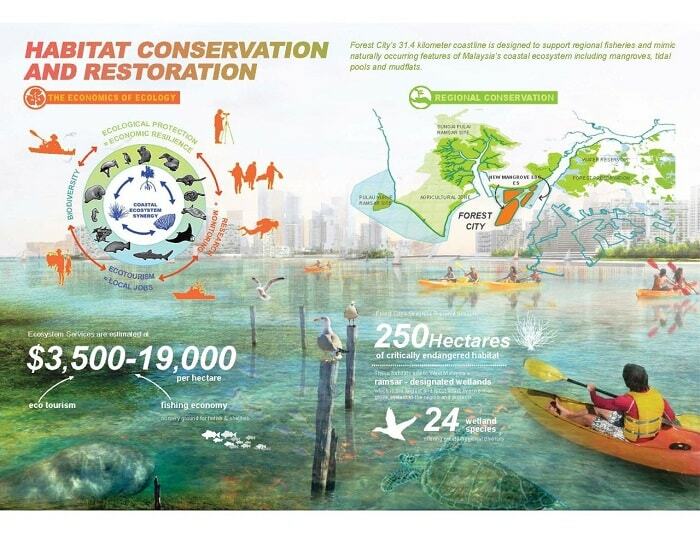 A contiguous network of complementary waterfront landscapes will imitate the natural coastal ecologies of the region and protect the region’s ecosystem. Tidal pools, restored mangroves and shallow bays that provide critical marine habitat and support local fisheries belong to this waterfront landscape. In order to absorb the impact of increasingly powerful storms and provide landscapes with the necessary space to evolve as waters rise over time, edge conditions are designed. Four percent of the total land area is dedicated to a gradually rising riparian zone that allows for shifts in the landscape as the high tide line increases over the next century. Endangered seagrass beds will be protected through the creation of a preservation zone that restricts motorized boats and limits human access. Over the past five decades, more than 30 percent of Malaysia’s mangroves have been lost to deforestation (UNESCO estimates). 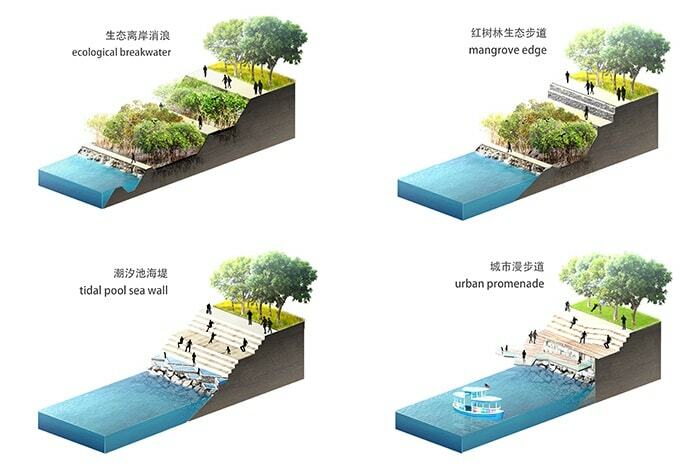 According to the planning, Forest City also intends to re-establish 9.2 linear kilometers of new mangrove habitat, 10.3 linear kilometres of shallow coves and mudflats, and protects 250 hectares of critical seagrass habitat. Density and civic uses are organised around transit centres, ensuring that over 80% of the development is situated within a 10-minute walk of public transportation. The system is organized with a multi-layered approach designed to prioritize pedestrian connections. Infrastructure related to vehicular traffic is located at the ground level, while a contiguous landscape creates public space adjacent to transit stations at the top level of the infrastructure podium. 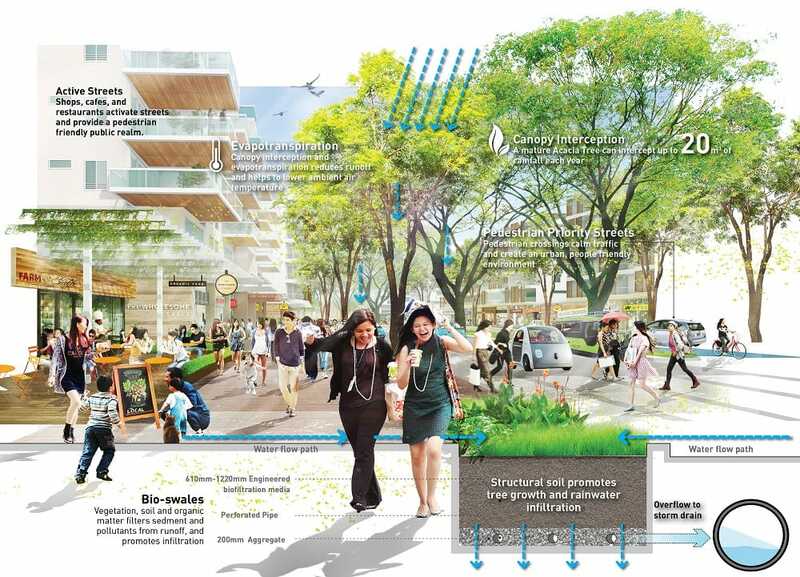 This approach envisions a new paradigm for the public realm – a 4 million square meter, contiguous rooftop landscape that links all development parcels, accommodates stormwater, re-establishes native habitat zones, filters runoff, and provides recreational opportunities in an entirely automobile-free experience. Green walls, sky gardens integrated into the architecture of the city, and rooftop landscapes on individual buildings create yet another dimension of vertical open space that allow humans and nature to coexist at new heights. “The opening of the Sales Gallery is just a glimpse of what is to come. Ongoing work over the next 20 years of development will evolve alongside best practices in the design and construction industries. 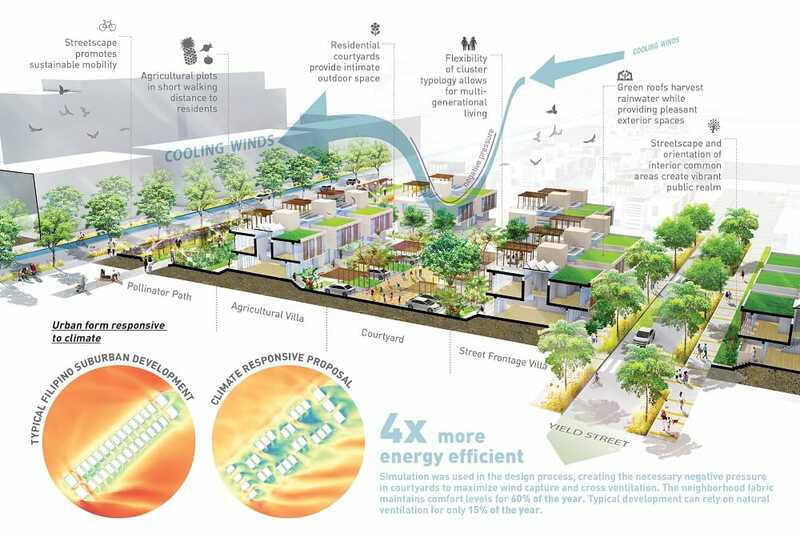 It is our hope that zero net energy buildings, regenerative landscapes, and other ‘idealistic’ and ‘futuristic’ thinking becomes the rule for Forest City rather than the exception.  Stay tuned!” Michael Grove emails to ECOURBANLAB. 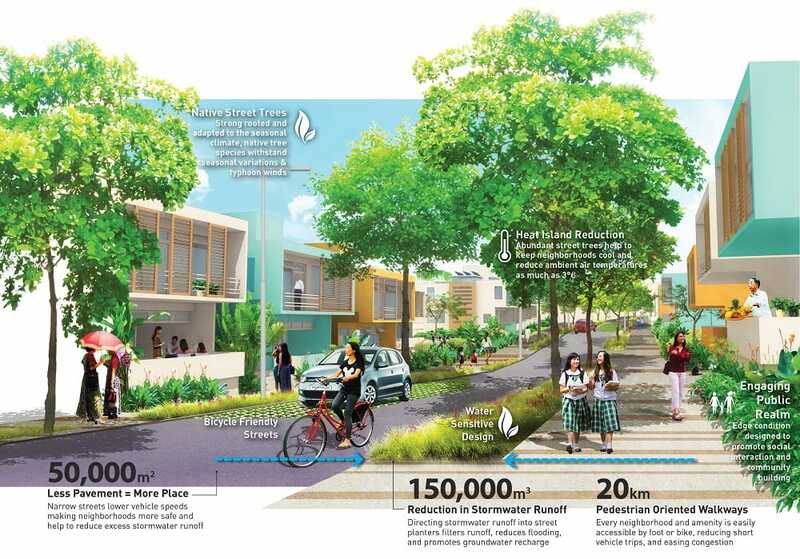 Forest City is in the planning and investment phase up to now.